Although the ubiquitous Tyskie beer has become one of the most recognisable Polish exports (not to mention the reigning king of domestic brews for almost 200 years), few visitors to Poland realise its name is actually derived from the very Silesian town it has been brewed in since the 17th century: Tychy. 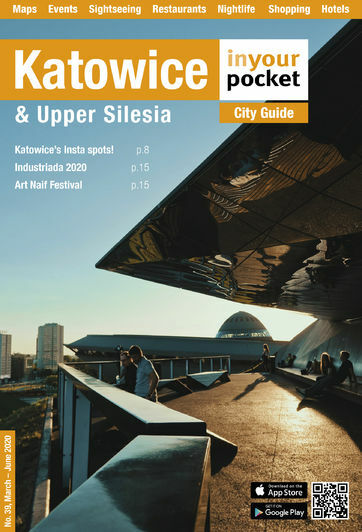 This now-thriving Silesian suburb is located a mere 20km south of Katowice and is well-connected to the Katowice mothership. Although it isn’t as close to, nor as expansive as some of Silesia’s other urban centres, Tychy has a lot to offer curious day-trippers, potential investors and vacationers alike. The rather curious Polish name of Tychy (German 'Tichau') is derived from the Polish word cichy or 'quiet.' Tychy was indeed nothing more than a sleepy village from the time it first appeared on a medieval map in the mid-15th century until well into the 17th century. It was then that the lords of beer arrived and deemed this land worthy to be brewed upon (they were literally lords as well). And thus the Browar Książęcy [K’shown’zhen-tse] began its illustrious 400 year mission to provide beer to the huddled masses (ok, mostly just for themselves at the beginning). As the brewery grew, so did Tychy. By the time of German occupation during WWII, Tyskie had grown to be the biggest brewery of its kind in Europe. Operations resumed after the war, and large scale investment by the Polish State (The Party liked to drink as well) ensured that the Tyskie empire continued to expand during Communism. This is also when Tychy started to first become known as somewhat of a socialist workers' paradise. The massive workforce employed at the brewery were treated relatively well in the 60’s and 70’s; sporting complexes were built, and a beach and docks constructed on the bucolic Lake Paprocany (Jeziora Paprocańskie). To find out more about the city's beer-entwined history visit the Tyskie Brewery which also houses the local City Museum. Modern day Tychy is of course still tied to its long and storied brewing tradition as the Tyskie Brewery continues to pump out millions of hectolitres of beer a year and now exports all over the world. Tychy itself has also remained a destination for both vacationers and beer lovers. Lake Paprocany offers endless fun for amateur and professional sailors, swimmers and sun bathers. Most recently the city broke ground on what will be the biggest year-round Water Park Complex in all of Poland. The city also has a full cultural calendar so plan your trip accordingly.